When I was working in South Africa two years ago, I had the chance to meet a very unusual subspecies of big cat. 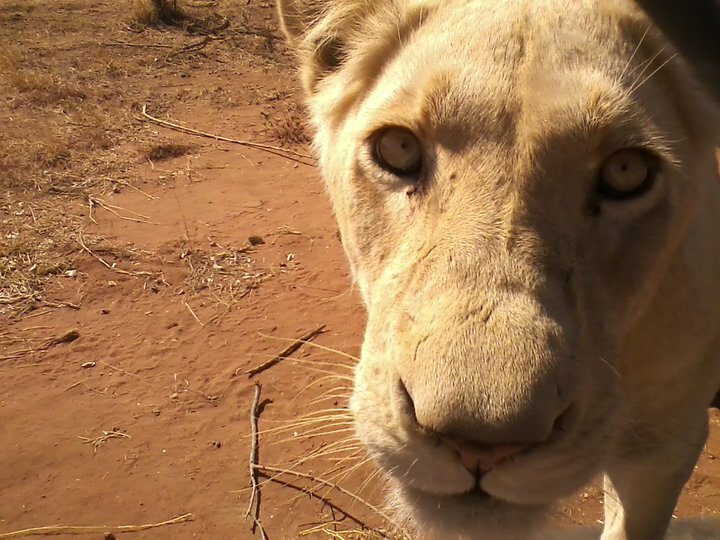 Following up on a lead from one of my Afrikaner coworkers, I managed to get an up-close and personal encounter with the “white lion”, a rare color mutant of the subspecies Panthera leo krugeri which is found only a few wildlife reserves and parks in southern Africa. This lions used to occur naturally throughout the Timbavati region until they were completely extirpated from the wild through selective trophy hunting. There are now estimated to be less than 300 of these individuals world-wide. 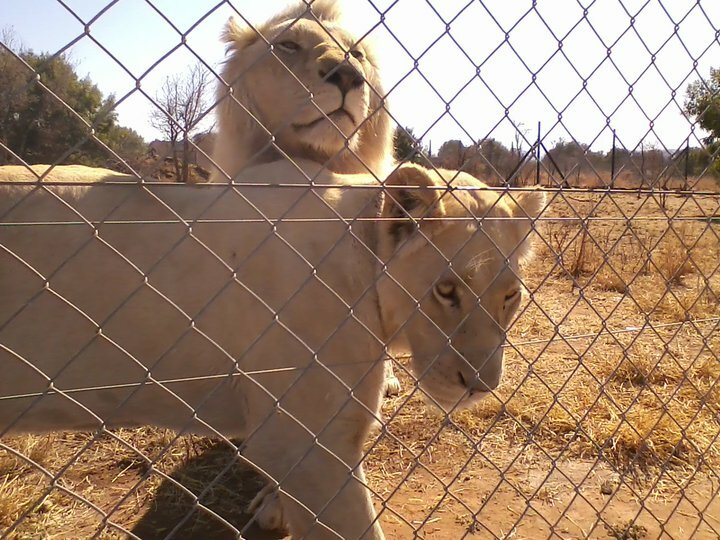 At a reserve where a pride of these lions is maintained, I helped a local veterinarian examine one of these magnificent animals who was suffering from a gastrointestinal aliment. As you can see, the lions are not pure white – they are not albino, but rather leucistic, and this coloration is the result of a recessive gene known as the Chincilla or color inhibitor gene. There is a mutation in an enzyme (tyrosinase) that results in decreased melanin production and inhibits its deposition along the hair shaft. Pigmentation is only found in the very tips. “Whiter” lions are the result of less pigment in the hair shaft, and even the manes and tail tips of the males are pale instead of the typical golden or black. They maintain pigment in their eyes, paws, and lips. Interestingly enough, this pale coloration does not seem to inhibit their fitness in the wild. 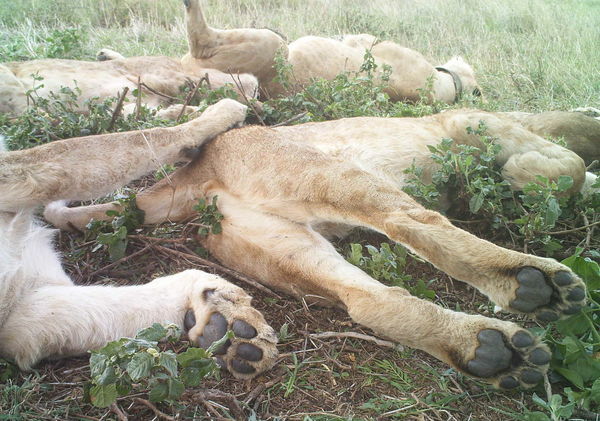 The White Lion Trust has been reintroducing prides of white lions back into their endemic habitat with much success. 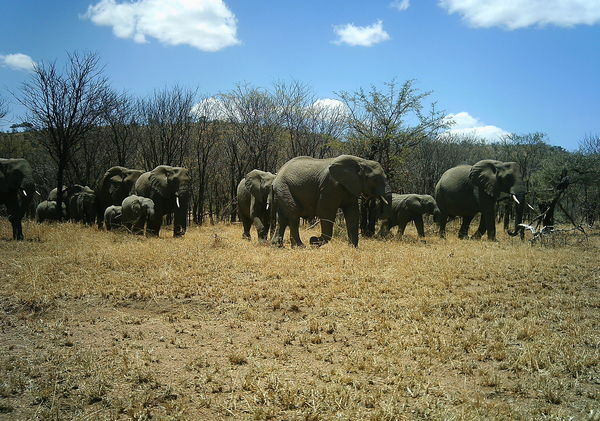 The goal of the organization has been to conserve this rare phenotype and increase the biodiversity in the Timbavati region. According to their reports, the white lions do not exhibit decreased hunting success and breed successful, producing several cubs over the last few years. Increasing genetic diversity in dwindling wild populations is important for the preservation of the subspecies as a whole. Good luck to the white lion! It was amazing to have a chance to interact with these magnificent animals. and give thanks for the good things in life. 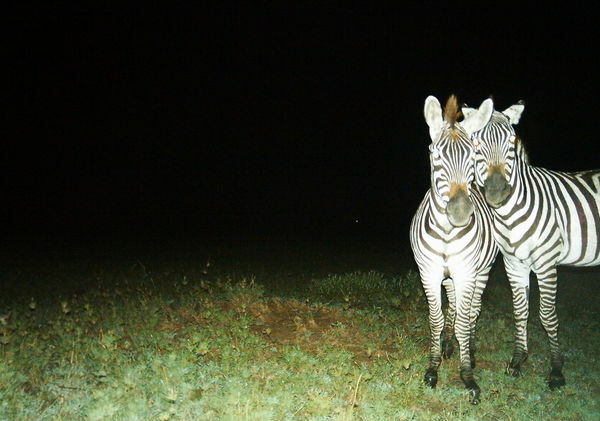 And a special thank you from us to you for all the work you’ve put in to classifying animals on Snapshot Serengeti. Truth be told, I *have* been working on data analysis from the start. It’s actually one of my favorite parts of research — piecing together the story from all the different puzzle pieces that have been collected over the years. 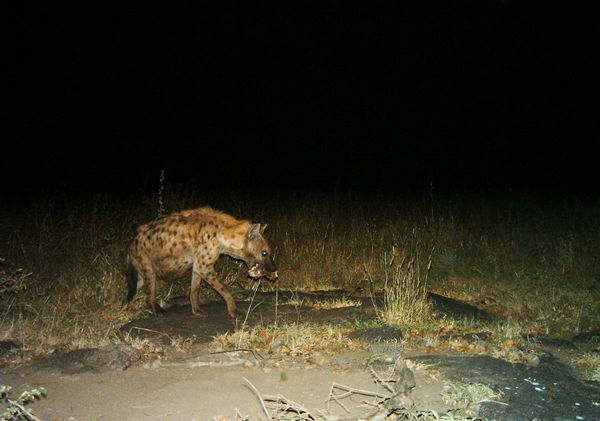 But right now I am knee-deep in taking a closer look at the camera trap data. Since we have *so* many cameras taking pictures every day I want to look at where the animals are not just overall, but from day to day, hour to hour. I’m not 100% sure what analytical approaches are out there, but my first step is to simply visualize the data. What does it look like? It’s pretty clear that there are a handful of “naptime hotspots” on the plains. You can bet your boots that those are nice shady trees in the middle of nowhere that the lions really love. Crazy week this week, so I just wanted to post a link to this fascinating and hilarious blog post about plant communication. Yup, you heard right. Animals aren’t the only things that communicate: plants do too! But instead of using sound, plants communicate via chemicals. First, some plants respond to hungry predators (e.g. bugs, mammalian herbivores) by producing bad-tasting or toxic chemicals that stops would-be-munchers in their tracks — this is called and “induced response” or “induced defense” and is pretty well documented in terrestrial plants. But what’s even cooler is that attacked plants might also release chemical signals to “talk” to neighbors — allowing un-munched-on plants to trigger pre-emptive defenses. Originally known as the “talking trees hypothesis,” this interplant communication was first described in the 1980’s — though more recent research suggests that “eavesdropping” might better capture the true nature of the interaction. More recently and perhaps even cooler is that plants not only “talk” to each other, but to other animals! 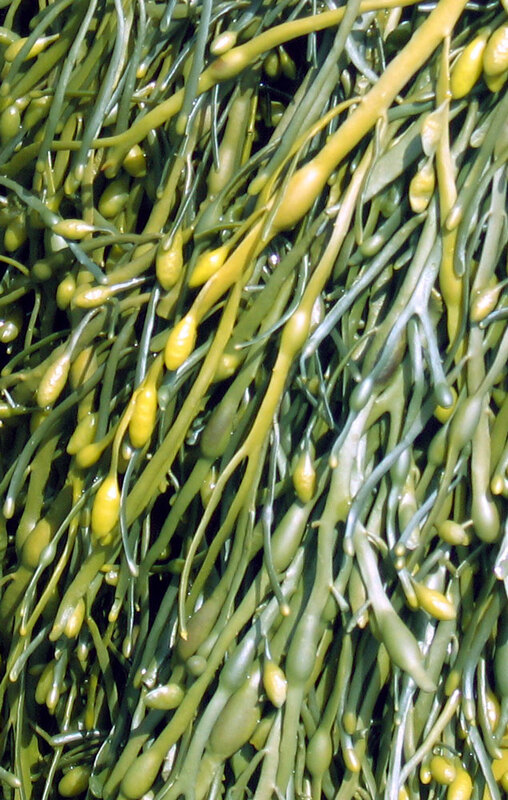 The blog post linked above describes an intertidal plant that basically calls in the predators of its predators. When the plant gets munched on, by, say, a snail, it releases a chemical signal that attracts things that eat snails, like crabs. Crazy, and awesome. Even though I think I’ll stick with studying big furry things, plants are pretty cool. As Ali mentioned, we’re working on figuring out timing issues for all the images in Snapshot Serengeti. Each image has a timestamp embedded in it. And that time is Tanzanian time. You might have noticed that sometimes the time associated with an image doesn’t seem to match the time in the photo — especially a night shot with a day time or a day shot with a night time. We initially shrugged that off, saying that some of the times get messed up when the camera gets attacked by an animal. But it turns out to be more complicated than that. All the times you see on Snapshot Serengeti — either when you click the rightmost icon below the image on the classify screen, or when you look at a capture in Talk — are on West Greenland (or Brazil) time. Why is that? Well, databases like to try to make things “easy” by converting timezones for you. So when the images got loaded up onto the Zooniverse servers, the Snapshot Serengeti database converted all the times from what it thought was Coordinated Universal Time (UTC) to U.S. Central Time, where both Minneapolis and Chicago are. That would mean subtracting six hours. But since the times are really Tanzanian ones, subtracting six hours sticks us in the middle of the Atlantic Ocean (or in Greenland if we go north or Brazil if we go south). That wouldn’t be so bad, except for Daylight Savings Time. Tanzania, like everywhere close to the equator, doesn’t bother with it. It doesn’t make sense to mess with your times when sunrise and sunset are pretty much as the same time all year round. However, the ever-helpful database located in the U.S. converted the times as if they experience Daylight Savings Time. So on dates during “standard time,” the Snapshot Serengeti times are off by six hours; subtract six hours to find out the actual time the image was taken. But on dates during daylight savings, the times are off by just five hours. 11:35am Tanzanian time. Shown as 4:35pm on Snapshot Serengeti. And to make things more of a headache for me, those images that got taken during the hour that “disappears” in the spring due to Daylight Savings Time, get tallied as being taken the hour before. This might explain why we get some captures that don’t seem to go together: the images were actually taken an hour apart! So now I’m focusing on straightening all the timestamps out. 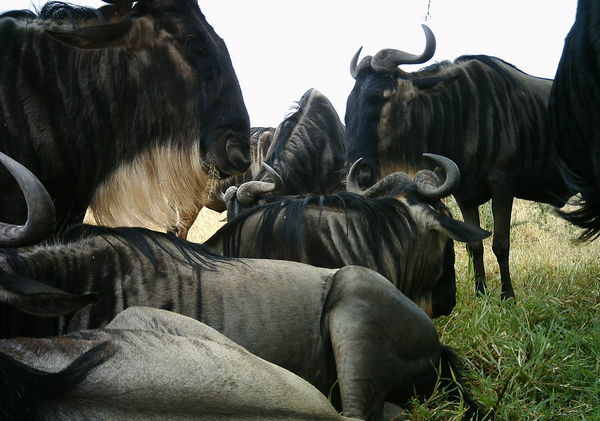 And when I do, I’ll ask the Zooniverse developers if we can correct all the times in Snapshot Serengeti so that they’re shown in Tanzanian time. Hopefully we’ll have that all set before Season 7. By the way, I was able to figure this all out pretty quickly thanks to the awesome blackboard collection that volunteer sisige put together. You can see the actual Tanzanian time on many of the blackboards and confirm that the online time shown below the picture is five or six hours later, depending on the time of year. Many thanks to those of you who tag and comment and put together collections in Talk; what you do is valuable — sometimes in unexpected ways! Deep breath; I promise it will be okay. By now, many of you have probably seen the one image that haunts your dreams: the backlit photo of the towering acacia that makes the wildebeest in front look tiny, with those two terrible words in big white print across the front — “We’re Done!” Now what are you going to do when you drink your morning coffee?? Need a break from staring at spreadsheets?? Are in desperate need of an African animal fix?? Trust me, I know the feeling. I have to admit that as a scientist using the Snapshot Serengeti data, I’m pretty stoked that Seasons 5 and 6 are done. I’ve been anxiously watching the progress bars inch along, hoping that they’d be done in time for me to incorporate them in my dissertation analyses that I’m finally starting to hash out. Silly me for worrying. You, our Snapshot Serengeti community, have consistently awed us with how quickly you have waded through our mountains of pictures. Remember when we first launched? We put up Seasons 1-3 and thought we’d have a month or so to wait. In three days we were scrambling to put up Season 4. This is not usually the problem that scientists with big datasets have! Now that Seasons 5 and 6 are done, we’ll download all of the classifications for every single capture event and try to make sense of them using the algorithms that Margaret’s written about here and here. We’ll also need to do a lot of data “cleaning” — fixing errors in the database. Our biggest worry is handling incorrect timestamps — and for whatever reason, when a camera trap gets injured, the time stamps are the first things to malfunction (usually shuttling back to 1970 or into the futuristic 2029). It’s a big data cleaning problem for us. First, one of the things we care about is when animals are at different sites, so knowing the time is important. But also, many of the cameras are rendered non-functional for various reasons – meaning that sometimes a site isn’t taking pictures for days or even weeks. To properly analyze the data, we need to line up the number of animal captures with the record of activity, so we know that a record of 0 lions for the week really means 0 lions, and not just that the camera was face down in the mud. Wherever you choose to spend your time, know that all of us on the science teams are incredibly grateful for your help. We couldn’t do this without you.